Data is everywhere. In fact, the amount of digital data that exists is growing at a rapid rate, doubling every two years, and changing the way we live. According to IBM, 2.5 billion gigabytes (GB) of data was generated every day in 2012. 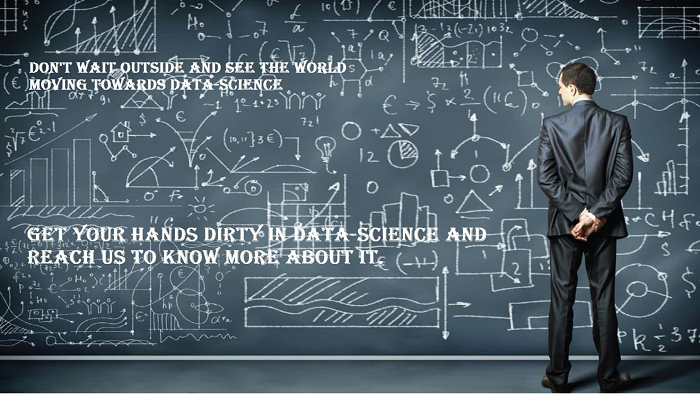 Data science, also known as data-driven science, is an interdisciplinary field of scientific methods, processes, algorithms and systems to extract knowledge or insights from data in various forms, either structured or unstructured, similar to data mining. Data science is a “concept to unify statistics, data analysis, machine learning, and their related methods” in order to “understand and analyze actual phenomena” with data. It employs techniques and theories drawn from many fields within the broad areas of mathematics, statistics, information science, and computer science, in particular from the subdomains of machine learning, classification, cluster analysis, uncertainty quantification, computational science, data mining, databases, and visualization Harvard Business Review called it “The Sexiest Job of the 21st Century” the term became a buzzword, and is now often applied to business analytics, or even arbitrary use of data, or used as a sexed-up term for statistics. According to Forbes” Data Scientist Is the Best Job in America According Glassdoor’s 2018 Rankings” and the same demand is being seen in Indian industries. We have taken the initiative to start with the diploma in DataScience/ Data science certification and training in Navi-Mumbai. Full Job-oriented training and giving maximum emphasis on hands-on practice. This will be a classroom training with experienced trainers from the industry having more than 12 years of experience in the relevant field. The course contents are at par to the curriculum followed in top universities and IIMS. Placement support from our placement cells which already have tie-ups with companies. Data mining is a process used by companies to turn raw data into useful information. collection and warehousing as well as computer processing.